5. Edit the Dept. 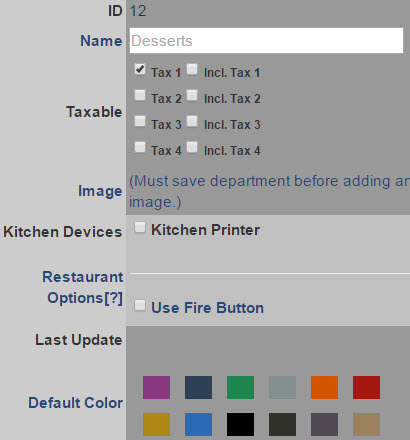 Name, Tax, Image, Kitchen Device or Restaurant options. 6. Click the Update button to save these changes. Departments can not be deleted. However, they can be renamed and retooled to serve a new purpose for your store or restaurant.